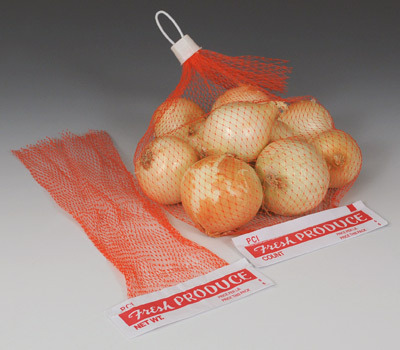 Perfect for packaging onions, oranges, or other produce. Soft, flexible diamond mesh provides air flow and visibility during storage. White header on individual bags states “Fresh Produce” and has space for weight, count, and pricing. Secure bags with white netting clips.